Symphony Facial Tissues are low lint, beautifully soft to the touch and yet super strong. Now available in an exciting new range of on trend designer boxes and two pack varieties; single pack (hypo-allergenic) and value multi packs. 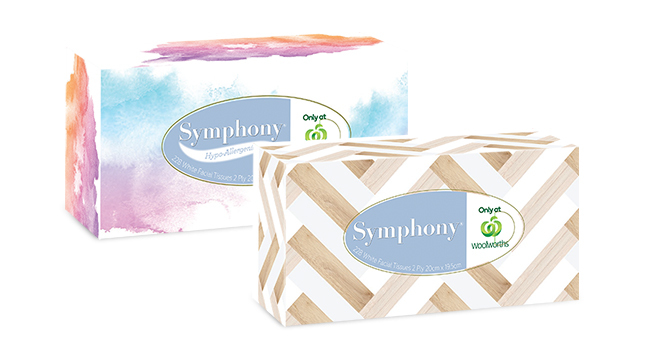 Symphony Facial Tissues are available at your closest Woolworths supermarket.